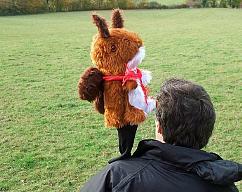 Hand knitted meerkats in quirky costumes and custom characters. You name it, I'll knit it! 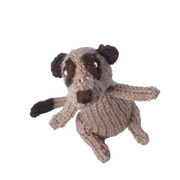 Handknitted Meerkat soft sculpture collectibles designed and knitted by Heather. 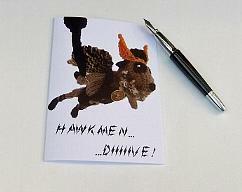 Quirky handmade gifts for fans of Superheroes, Musician, Sportsman - you name it, I'll knit it. Golf cozy - LAST ONE!